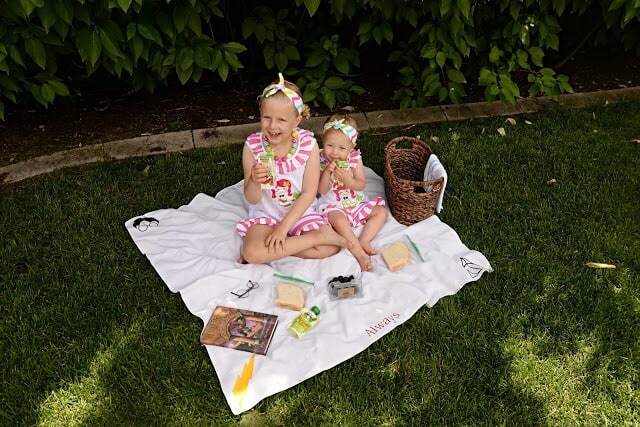 Once upon a time, I used to keep a picnic blanket in my car at all times. It was so nice to be able to pull the blanket out whenever we needed something to sit on and more than once a cold child used it to warm up. When we bought a new car, for some reason the blanket didn’t make the switch. I have missed it on more than one occasion and decided it was time to make sure a blanket it was a part of our car necessities again. Being the Harry Potter nerd that I am, it couldn’t just be any old picnic blanket. It needed to be a Harry Potter blanket. You can do whatever images you like for your corners. I chose a lightening bolt, a silhouette of Harry, a Snitch and the Deathly Hallows symbol. For my more complicated symbols, I downloaded free SVGS from the Noun Project. You can find the SVG of the Lighting bolt created by Polina Flegontovna here. 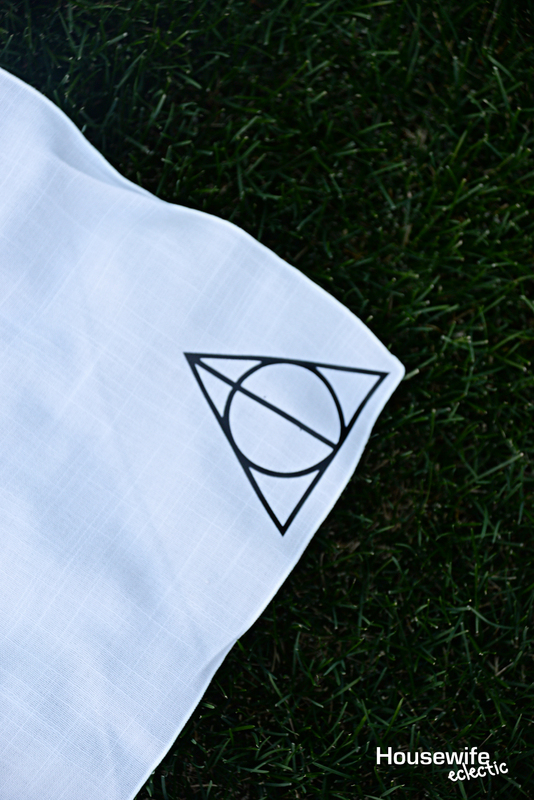 The Dealthy Hallows symbol is easy enough to make with simple shapes in design space or you can use this one created by Polina Flegontovna here. You can find the SVG of the Snitch created by Polina Flegontovna here. This Snitch is absolutely amazing. I am in love with this file. I am already planning another project with it. Find the SVG of the Harry Potter Silhouette by Ryan Thomas Noll here. 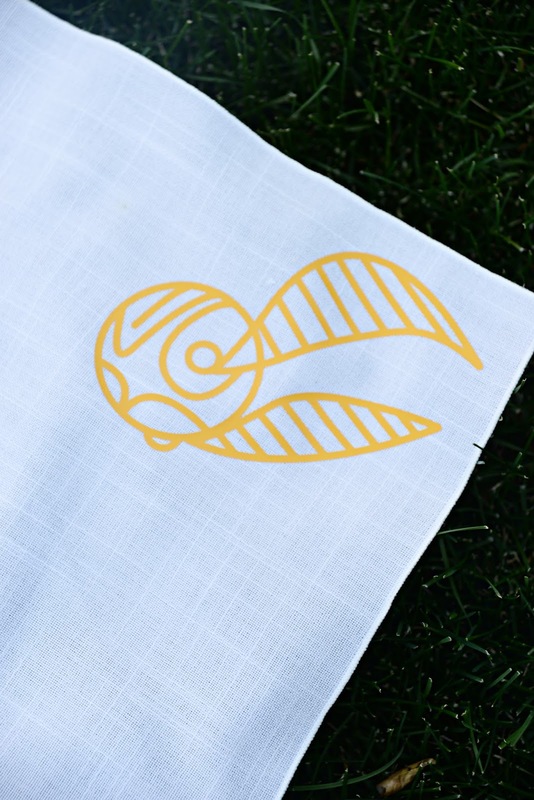 To make this blanket, head over to the Explore site and select the great big blue, Create a New Project button.Upload your SVGS to Cricut Design Space by selecting the upload image button. Make your images different colors and your Cricut will know that you plan on cutting them out of different colors and place them on different mats when you hit cut. I made my Harry Potter Silhouette and Dealthy Hallows Symbol the same color and cut them both out of black. I made the Snitch and the Lightening Bolt the same color and then cut them both out of gold. I cut the words out of Maroon. I am a Gryffindor, so I have to stick to my house colors. Set your iron to the cotton setting on your iron (or about 305 degrees) Preheat the area of the shirt you want to place your vinyl for about 3 seconds then place the heat transfer on the blanket with the right side facing up. Using medium pressure, iron the entire image for about 30 seconds, directly onto the carrier sheet, without any steam. After you finish, I like to flip my blanket over and iron for another 10 seconds from the back. Peel the carrier sheet off. If any parts of the image pull up when removing the carrier sheet, stop peeling and iron for a few more seconds in that spot. 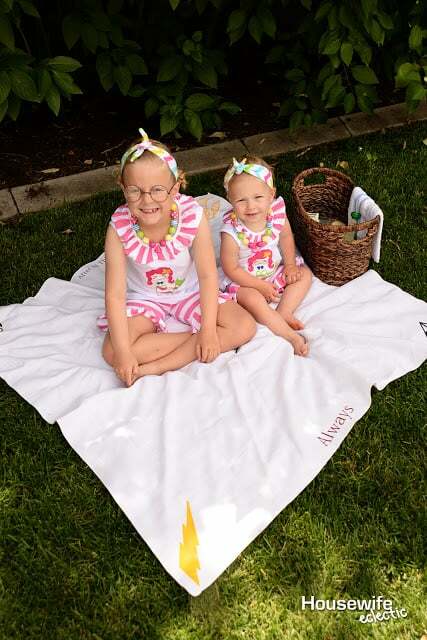 My girls love having picnics with the new blanket. We have already had two and I just made it last week. Have I mentioned how much I love summer? Wow this is so fun! 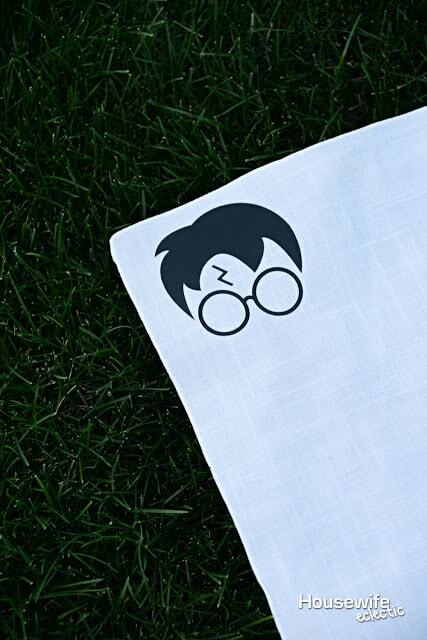 It would make a great gift too for Harry Potter fans. 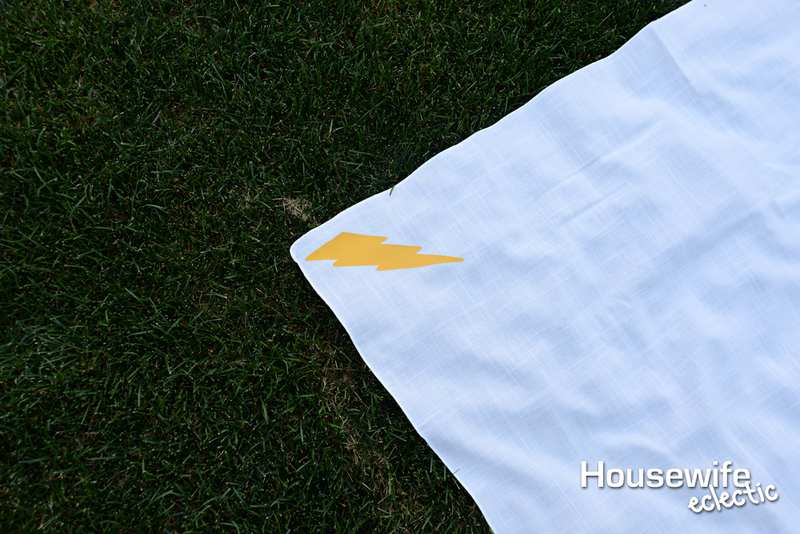 Imagining all the possibilities of making placemats, towels etc! this is awesome. My inner geek is geeking out right now. I so want one of these blankets. 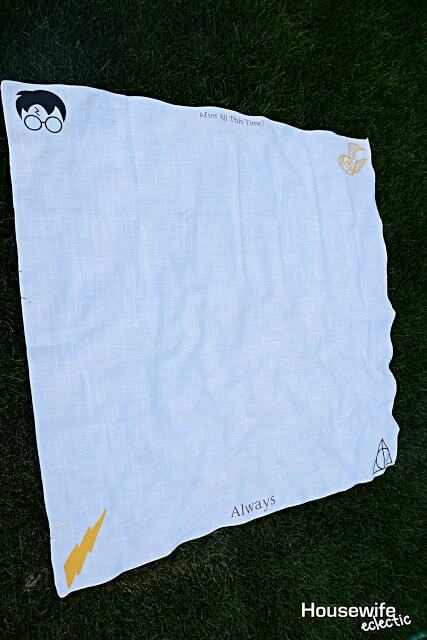 The Harry Potter Blanket looks amazing, I would love one for myself. Hopefully the blanket will make the switch to your car now! I love this blanket! My husband and I both love Harry Potter, so this is perfect for us. I love summer too! This blanket seems fun and easy to make. Your girls are adorable! I love this idea! 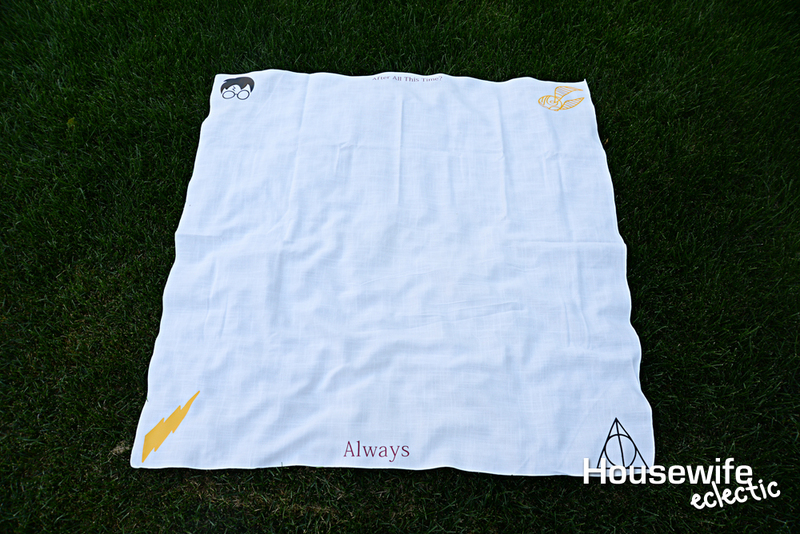 My husband loves Harry Potter, so he definitely would love this! 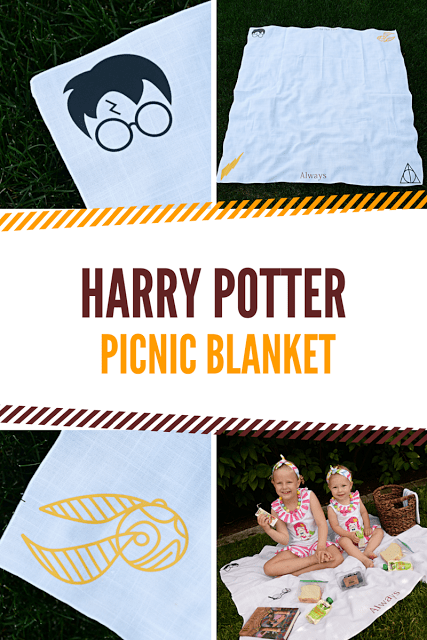 Those summer time picnics for Harry Potter fans! This is such an adorable blanket! We are such big Harry Potter fans in this house so my kids would love to make something like this. This looks simple enough to make and I have a friend that this would be the perfect gift for. She is a super Harry Potter fan! My son has become a huge fan of all things Harry Potter! He would love a homemade picnic blanket. I will have to see if my daughter can make it for him! I love this! I'm a huge Harry Potter fan as is my husband. 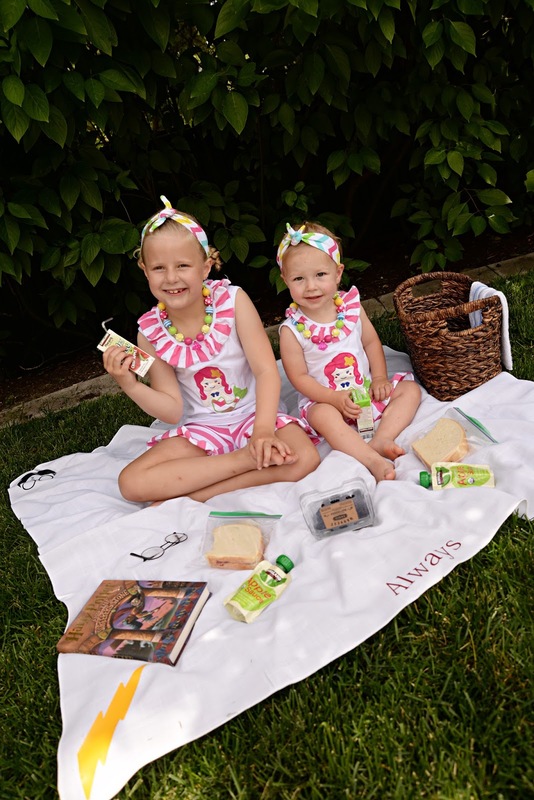 I've been wanting to make a new picnic blanket for us and this would be perfect! My oldest would love this for her room. We're headed to Universal Studios to see the Harry Potter experience and we can't wait. Thanks for sharing this on Merry Monday. What kind of blanket/fabric did you use? I really love it!